If you experienced a typical Canadian winter, then you know that your yard is a bit of a mess. Heavy winds, freezing rain, and the weight of all that snow are sure to turn your backyard upside down. To start the long stretch of your gardening season, it’s time to clean up your yard. Remove dead branches and rake up whatever has blown onto your property. Now, it’s time to clean up your gardening supplies. Even if you kept all your pots in a weatherproof shed, they could probably use a cleaning. Kill the bacteria and dormant insects by washing your pots in a warm solution of diluted bleach and allow to air dry. It may still be too early to plant things directly in your garden, but now is the ideal time to start your indoor plants. The seedlings may need a little help from a sunlamp if you don’t have a sunny south-facing window for them. Be sure to provide enough moisture, light, and airflow to allow your seedlings to flourish. If you put your compost on hold, now is the time to start back up again. Be sure to add equal parts of brown matter (coffee, leaves, cardboard pieces) and green matter (grass clippings, kitchen scraps) to give your pile the right amount of nitrogen and carbon. Introduce oxygen into your collection on a regular basis by turning everything over with a pitchfork. Sit down with your gardening tools and spend a little time giving them some much-needed TLC. Sand down rust spots, disinfect surfaces, oil wooden handles, and find a clean and easily accessible place for them when they’re not in use. This is also the right time of the season to figure out what sort of tools you need to replace. #5: Repair Fences, Hoses, Etc. Door hinges, fence posts, holes, punctured hoses—fix these things before you need them. Nothing is worse than when something is broken in your garden. The best time to repair these problems is before the season takes off. Impatient to see those beautiful blooms? 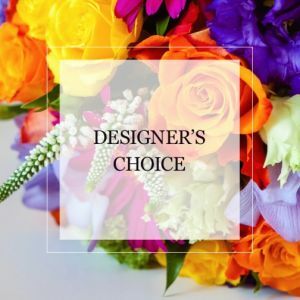 Come into Karen’s Flower Shop and browse our spring collection or sign up for our bouquet subscription!